Teacher union leaders have made an important step in their journey to develop a better understanding of LGBT issues from a human rights perspective, as the region shifts its tolerance and acceptance toward sexual diversity. In an effort to bring an end to the discrimination of LGBT students and teachers in Caribbean schools, teachers’ unions took small steps to find solutions to create acceptance of sexual diversity. 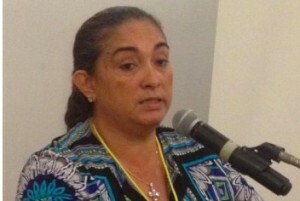 Human rights were at the core of the argument led by one of the Caribbean’s leading politicians and former Foreign Minister of Belize, Lisa Shoman, as she facilitated a discussion on “LGBT rights of students and teachers” at the Caribbean Union of Teachers’ (CUT) 6th Education Conference in Belize City, Central America in December. Shoman, who is also a human rights lawyer, had the challenge of helping teachers move beyond what has been a contentious issue throughout the region’s history, which has been greatly influenced by religious and cultural beliefs and values. She worked to highlight human rights to separate them from issue of beliefs. However, one major roadblock in many countries has been the law. Sinanan made it clear that wants his schools and society to change perspective, to recognise that all people deserve equal rights in order to stop discrimination. Following the discussion, many agreed that there is a need for extensive education on the issue within the region to ensure that teachers are able to face varied lifestyle choices professionally and without judgement, especially youth friendly educational services that are delivered with the full respect of their rights and dignity for all, and the diversity of sexual orientation and gender identity. Currently, 11 of the 12 Commonwealth countries of the Caribbean criminalise homosexuality under laws introduced by British colonialism. Many of these laws are reported to be indirectly enforced through police extortion and other state-sanctioned abuses, social stigma and direct discrimination. Criminal enforcement emerges as a barrier, which amounts to the denial of access and rights to education, employment, housing, health and other public services. (Click here for a Spanish version of this article and here for a version in French. The struggle against homophobia, Is progress being made in your community? It would seem from articles on CPNN that progress is being made in some communities. In particular this is true in the United States according to the article by Danny B and in Bulgaria according to the article by Diana Tashkova.